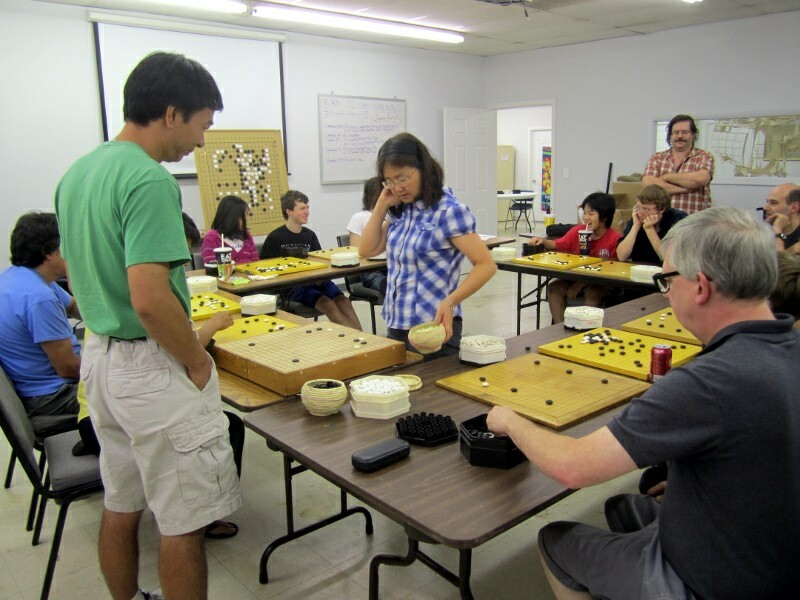 Fifteen fortunate go players attended the Fifth Annual North Carolina Guo Juan Workshop on August 12, 13 and 14, 2011, at the Tech Shop in Raleigh, North Carolina. 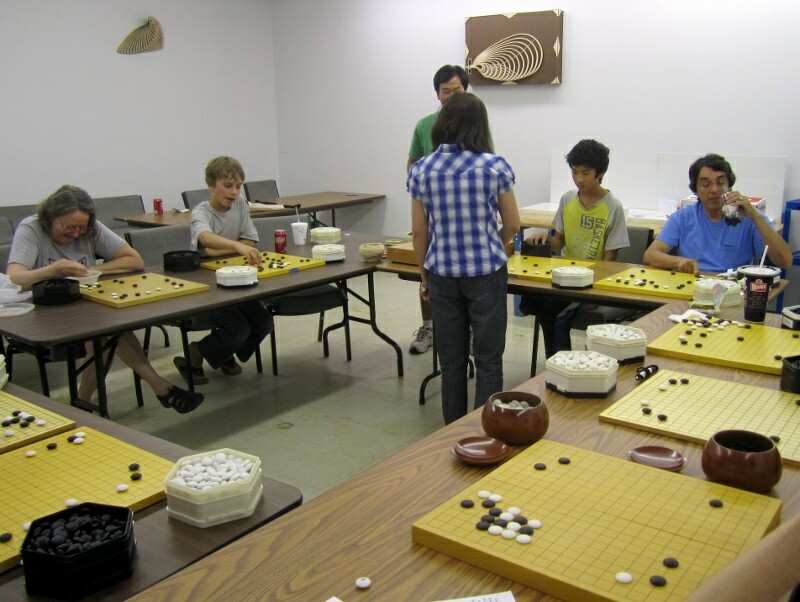 Almost half of the attendees were young players, and 3 were new local players. The registration fees for the first 6 youths were generously paid by an anonymous Triangle Go Group member. 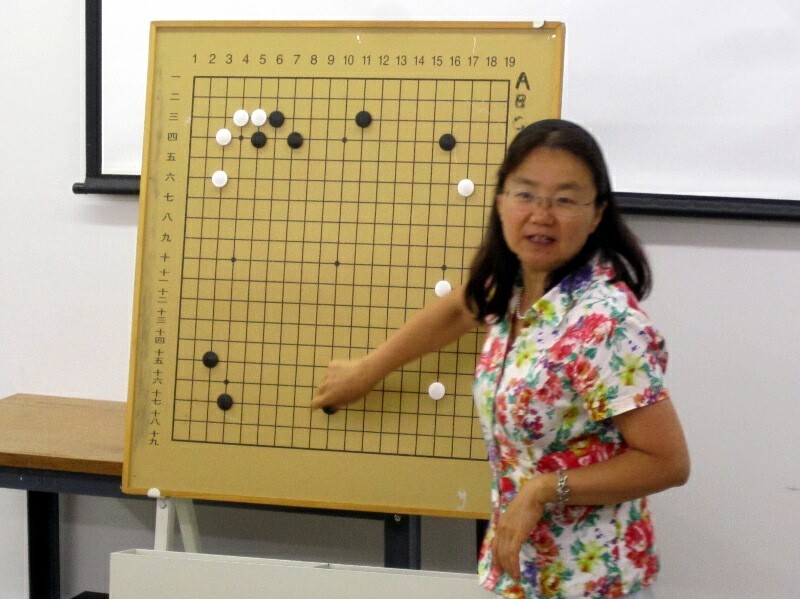 Teacher Guo Juan gave a number of interesting and helpful lectures and reviewed games that were played. She also provided us with the opportunity to play against her in a simultaneous format, and treated us to the joys of Survivor Go. 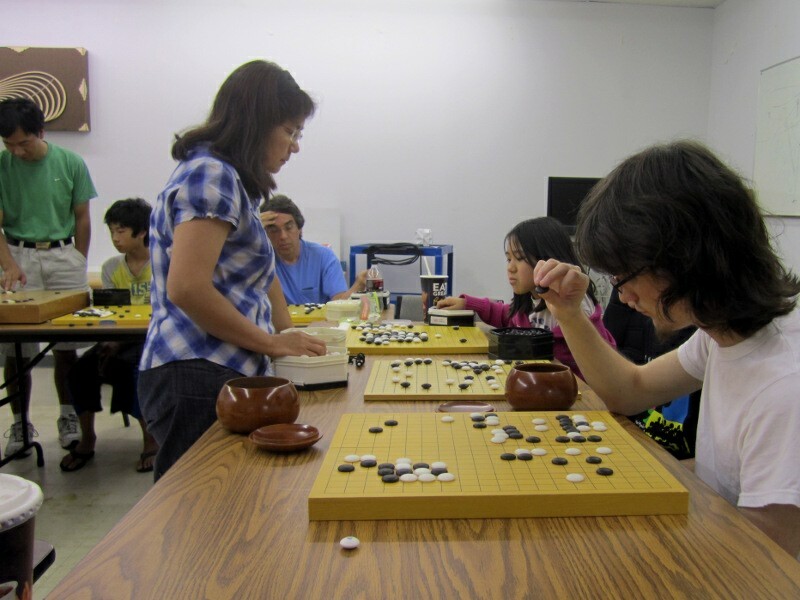 The workshop participants strengths ranged from 3 Dan to beginners, and Guo Juan's instruction and assistance was perfectly adjusted to each person's strength. Laughter went hand in hand with learning, and everyone came away with a stronger appreciation of this wonderful game. 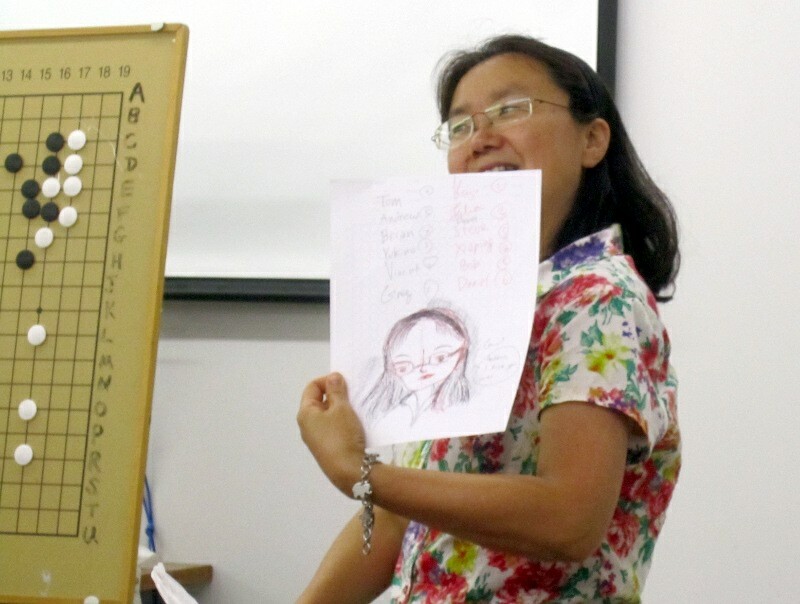 In addition to Workshop, Guo Juan offers online group lessons, a new format for accelerated online training. 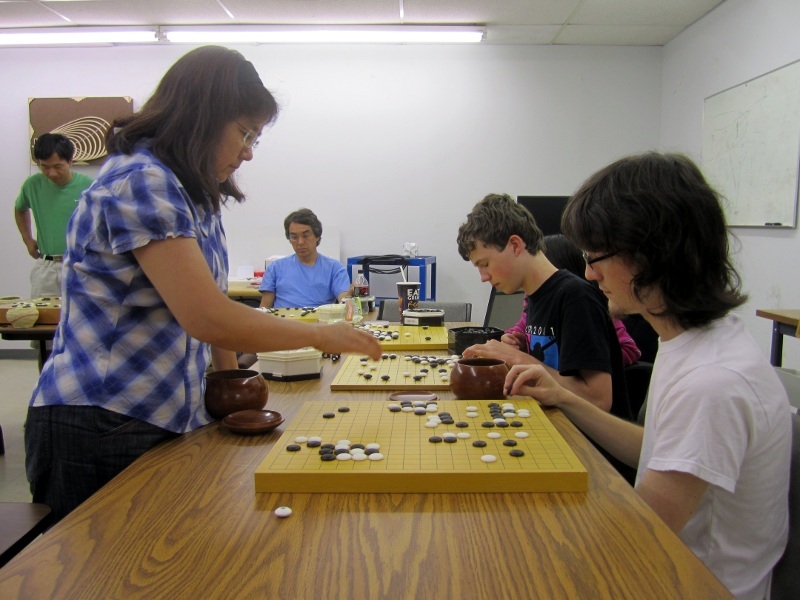 Click here to visit Guo Juan's Intensive Online Training website. Join us next year! Location and dates should be announced by late July, 2012. Discussing ladders, and closed versus open doors. 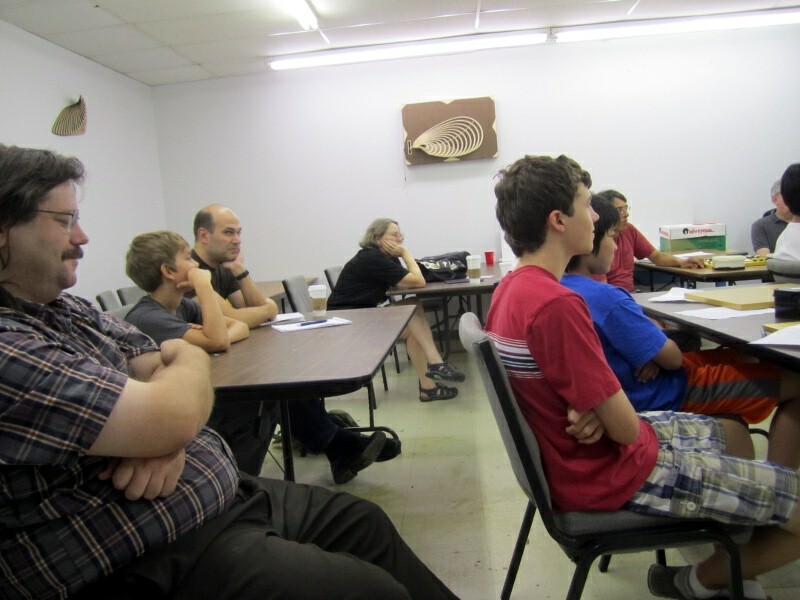 Thomas McCarthy, at left, helped organize the workshop this year.